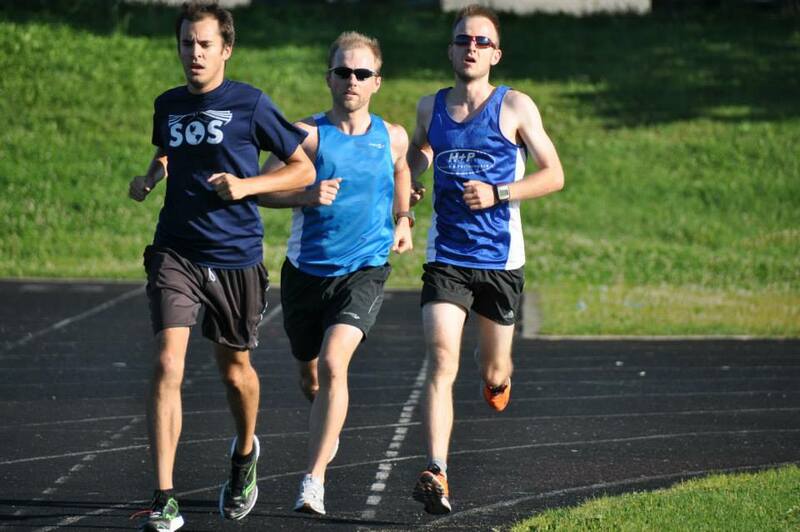 ENDURrun and IMMT aside, there have also been a few other races worth mentioning over the past few weeks! 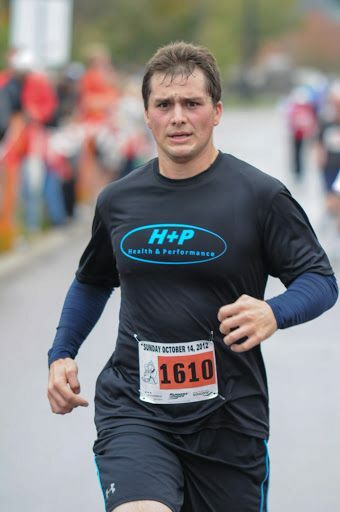 Mark Potvin had a great 5K in Dundas on the 17th. He ended up breaking 25- minutes for the first time ever, and placing 3rd in his AG! Shantell Powell also had a great performance at the Mud Hero 6K. She ended up coming in with a time well under 1 hour, placing 81st in her AG. This is pretty darn good since there were well over 300 people in her AG! 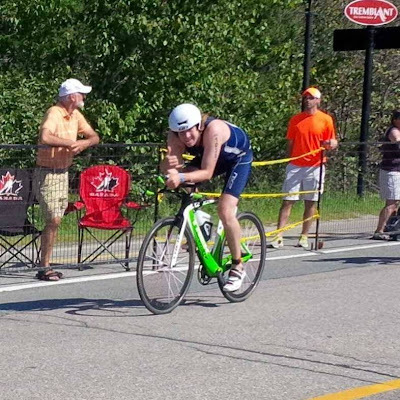 Despite just coming off the duathlon World Championships, Vance Lai performed quite well at the Orillia sprint duathlon. He managed to place 3rd overall and 2nd in his AG! H+P had a few representative and Ironman Mount Tremblant- here they are! 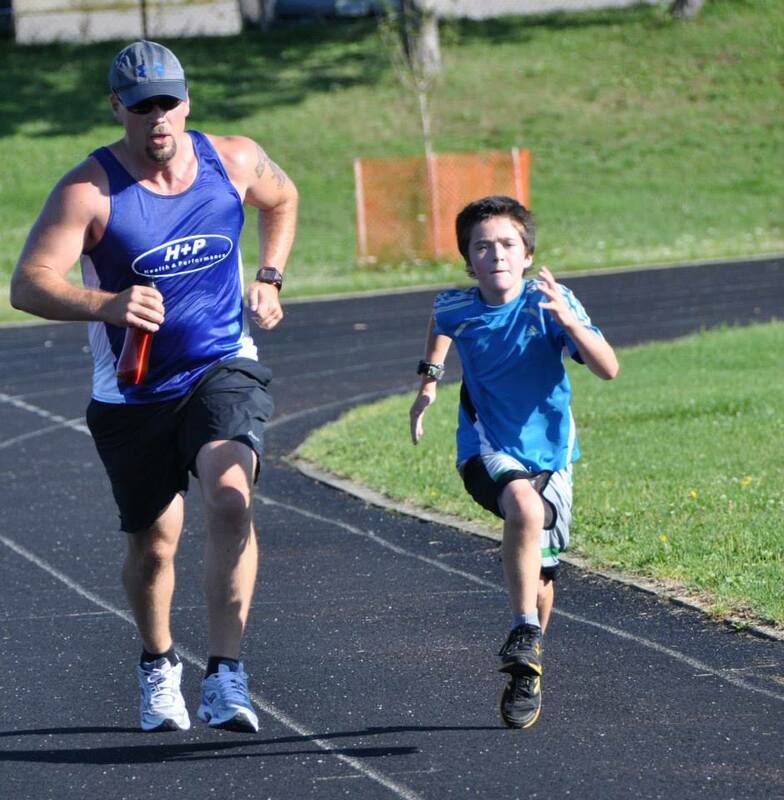 One of Coach Sean's personal coaching athletes had an inspirational result. 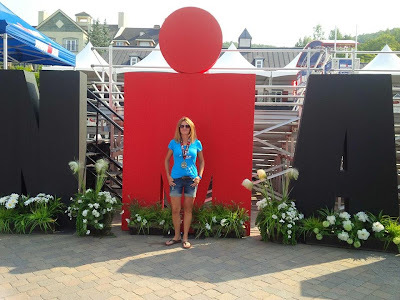 Lori Smith was rounding into the best shape of her life 3 months out from the event. However, on an otherwise unremarkable training ride, she fell off her bike and broke her arm. She was put in a cast, and this left her unable to swim, bike or even run for 4 weeks. At the 5 week point, the fracture still had not healed completely, but there was enough stability to start doing some light work in the trainer along with some other light exercises (still no swimming at all). 1 month out from the race, the arm had healed, but was weak and sore from not being used for 8 weeks! There was no way the bone would be ready to withstand an Ironman, let alone have surrounding musculature that is ready to go (or so we thought). At this point, most advised it was in her best interests to forget about the race. However, not willing to quit, Lori ramped up the training very quickly (not without significant arm pain), and then decided she would give the race a shot. She ended up finishing in well under 15 hours, good enough for 81st in her AG. Great work Lori! Ed Cyr (trained with us this past winter) who races with Studio Energi also had a great race! He ended up coming in just under the 10-hour mark. This was good enough to place easily in the top 100, and to win his AG! Chris Morton (who trained with us last year) also had a great race, finishing in just under 10.5 hours. This was good enough for top 20 in his AG, good job Chris! 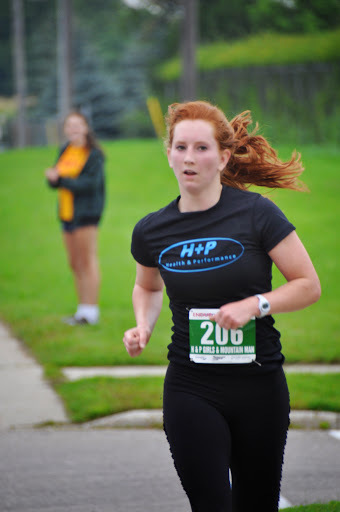 H+P had an amazing time competing at the 2013 ENDURrun! We ended up entering two teams. 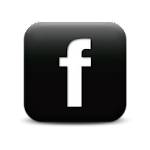 Click on the links below and follow through the Facebook album to see how each team did! CLICK HERE for the overall results. Kristen Marchant: 2:11:53 - 1st female overall! "I had a great time of 40:22 getting a pb by 10 seconds the course was all hills there were no flats and I came in second in my age group. Candy also came in second in her age group with a time of 42:34. 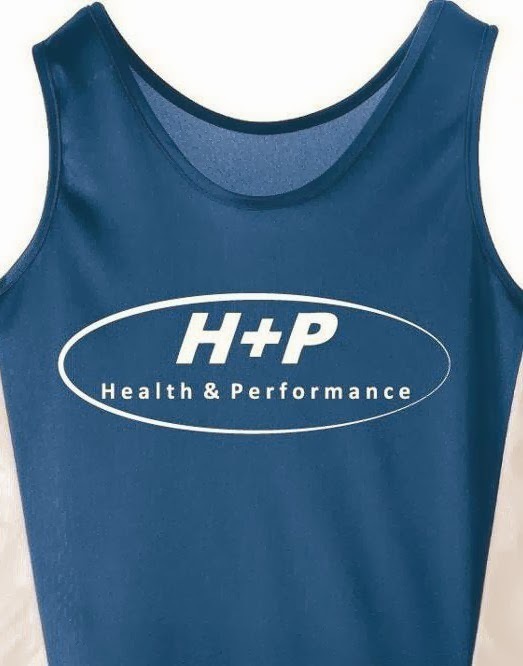 Nicole did not do so well with a time of 44:04 and a sore foot I think it is planters Brandon also ran with a time of 38:23"
H+P had 4 athletes competing at the 2013 Duathlon World Championships that took place in Ottawa this year. Click here for the full results. Florian Ong did quite well, coming in with a finial time of 2:03:48, placing 12th in his AG and 55th overall and 11th among ALL Canadians who competed. 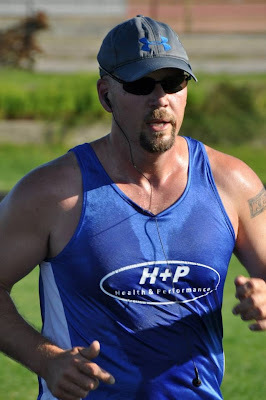 It is also worth noting that the runs were long (10.4K), and this would correlate to a 36:51 10K- a new PB for him! Florian on the run course! Coach Gill had a great race coming in with a final time of 2:33:46, placing 8th in her AG and 107th out of all the females. 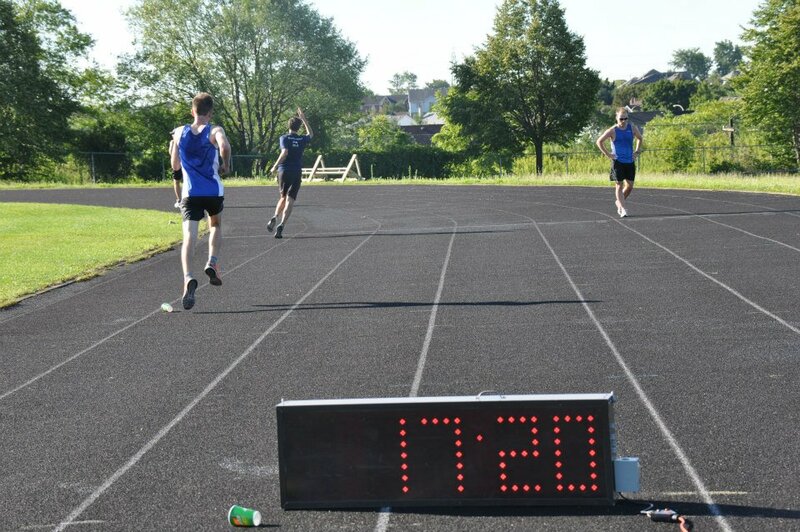 She also had an awesome sprint finish, beating an American in her AG by 0.2s. Coach Gill on her first run, not quite in pain yet! Vance had a great first world championships- he came in at 2:14:55, placed 25th in his AG and 186th overall! 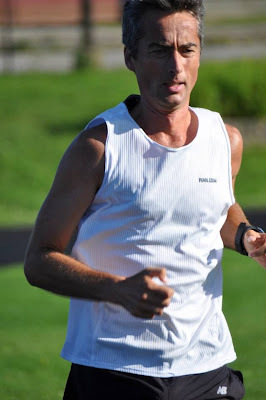 Coach Sean came in at 2:02:39, placing 10th in his AG, 44th overall and 6th place out of all the Canadians who competed. We held our first impromptu 5K track session Saturday August 3rd at 8:00am. We all tried for a PR- and while everybody valiantly hammered through the wind, Jordan was the only one to walk away with one! A special thanks goes out to Lloyd and Julie for bringing their race clock, water and for cheering! And here are some great pictures from the event taken by Julie Schmidt!